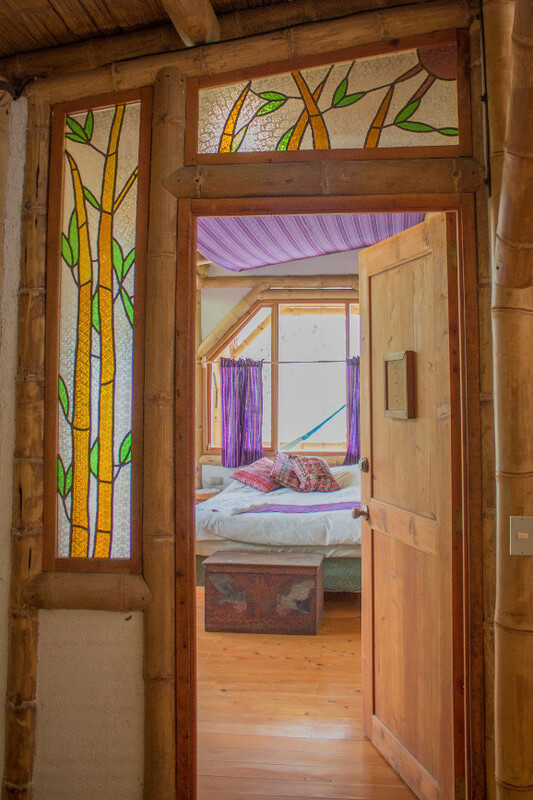 The Bambu Guest House specialize in hosting retreats and groups that are inspired to learn and practice creative, regenerative living. The Bambu Guest House really feels like a home, where small groups can settle in to learn about each other and all the amazing things happening nearby. 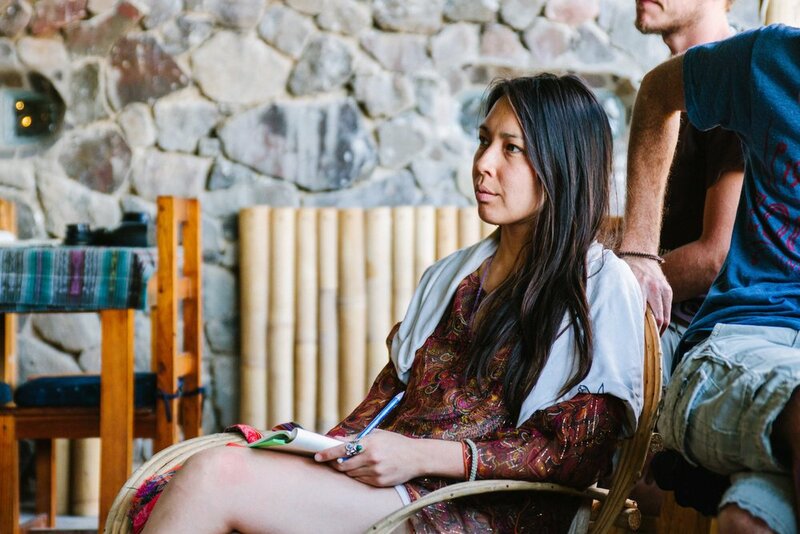 Our friendly staff will help you feel comfortable and catered to so that you and your group are free to focus on what matters to you, whether that be yoga, dance, permaculture, holistic nutrition, or anything else! As retreat leaders ourselves, we know what you're looking for in a retreat center. We're here to do the heavy lifting, so that you can bring your dream to life and spread inspiration! At the Bambu Guest House, we focus on hosting groups. We can host up to 24 guests in four large shared rooms, each equipped with a private bathroom, hot water, wifi, and balcony with views of the lake and volcanoes. Working closely with Atitlan Organics, the hotel's Farm-to-Table Restaurant features fresh organic food from right next door. We can cater to most dietary needs, including vegetarian, vegan, lactose and gluten intolerances. We have several large common areas to practice yoga, lead workshops, or just hang out. We can also offer kitchen access to guests, if desired. We can set up all in-country travel, as well as tours of the lake and the region (hikes, kayak, Stand Up Paddleboard, fishing trips), Mayan ceremonies, trips to nearby indigenous markets, cultural classes around Lake Atitlan, Spanish lessons, a farm tour, a permaculture immersion, and more. There’s so much to do here, and we’re here to help you have the experience of a lifetime! With our knowledge of the area we can help to create a custom itinerary for your group. For an additional fee, we can also help market your event and handle registrations. We've teamed up with Atitlan Organics to offer this experience for small groups wishing to learn about Permaculture while participating in meaningful work, interact with the local community, and preserve biodiversity in the Lake Atitlan basin. Participants will help to plant rare local avocado varieties in small landholdings around Tzununa, in service of biodiversity, reforestation, soil and water conservation, long-term food security, and economic development. Ideal for groups of 8-15. For more info please see our Service page. Explore Atitlan Organics, just up the road from the Bambu. Groups often enjoy incorporating up to 3 days of Permaculture Immersions into their offerings, but it can also be as simple as a morning farm tour. 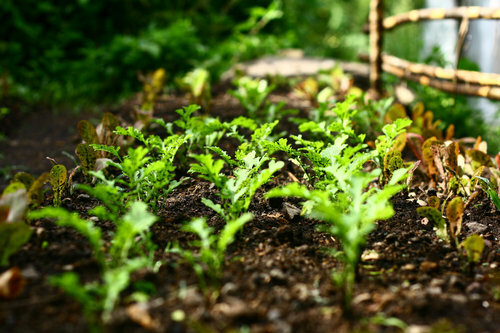 Permaculture's emphasis on sustainable and thoughtful design and the guiding ethics of Earth Care, People Care, and Fair Share offer the perfect complement to regenerative and holistic living groups! Lakeside lounging is a must, but if you're also looking for something more active we can help you arrange kayak rentals or Stand Up Paddleboard excursions on the lake. Hike nearby Indian Nose or San Pedro Volcano at sunrise, or check out the Atitlan Nature Reserve outside of Panajachel for a heart-pounding zipline adventure. Whatever your pace, there's something for you at the lake! The open-air markets of Guatemala are truly a sight to behold, and we're lucky to have nearby access to some of the best! 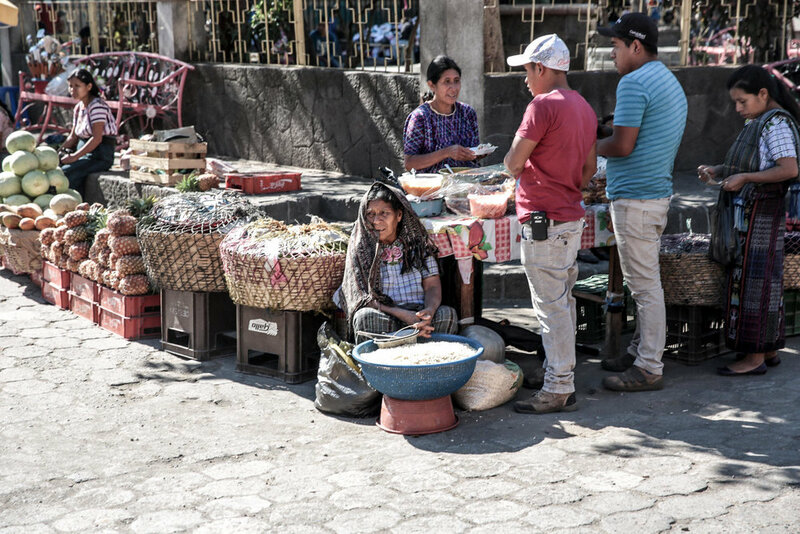 The famous Chichicastenango market sprawls over many city blocks and is a feast for the eyes, while the Santiago market is a meeting place for highlands and coastal communities. Or take a class at one of San Juan la Laguna's natural dyeing and weaving cooperatives, which produce beautiful and modern textiles while preserving Mayan weaving tradition. Celebrate a traditional Mayan ceremony of blessing and health with a local Shaman or take a Guatemalan cooking class try your hand at tortillas! Culture abounds here in the Mayan heartland. Learn to roll those R's and conjugate like a pro---or just order some recado de pepian successfully. We'll set up group or individual Spanish classes for you with some of the very best Spanish teachers. Energize or unwind with yoga at the Bambu! 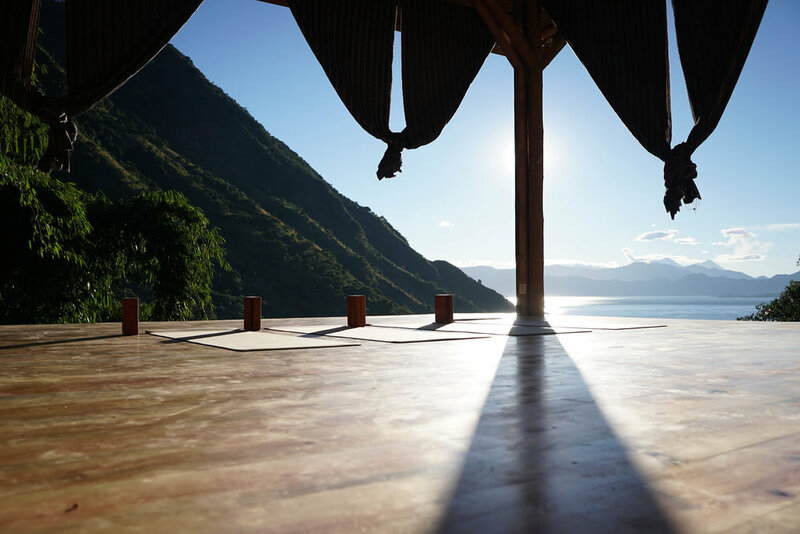 If your retreat doesn't focus on yoga but you'd like to take advantage of our primo yoga deck, views, and props nonetheless, we'll arrange for one of the many talented yoga teachers we work with to give the perfect class. Available daily or weekly. Our shared rooms offer a comfortable and luxurious place to greet the sun or unwind at the end of the day. Balconies in each room are equipped with hammocks to take in the sunrise or catch a volcano erupting, if you're lucky! Each room has a private bathroom with hot water, heated sustainably with a passive solar system. WiFi is available in all rooms. Soothing river sounds drift up into the room to lull you to sleep. Our talented kitchen staff prepares meals inspired by fresh seasonal produce. Our kitchen is dedicated to serving groups and able to meet a wide range of dietary needs, including vegetarian, vegan, lactose and gluten intolerance. We also offer unlimited organic coffee and herbal tea straight from the farm. Our top priority is that your group's participants have all their needs met, are comfortable, well-fed, and happy! Our newly built yoga platform is an amazing space for groups to mingle or just to grab some hammock time. With stunning views of the lake, this space can be used for yoga or meditations practices, group workshops, presentations, or meetings. Just up the road from the Bambu Guest House is the Atitlan Organics farm, a small-scale, diverse permaculture farm doing amazing things! We'd be happy to include a farm tour or even work with you to include a permaculture immersion as a part of your offering. Alongside our dining area, we have a "living room" style space where you can host lectures, meetings, or workshops with your group. This space offers cozy seating, an extensive library, a whiteboard, and a projector. Available to all groups and retreats are our locally made artisan props, including yoga bolsters made from Mayan textiles, yoga blocks made from sustainably-sourced wood, and handmade yoga straps. All props were made in Tzununa or the neighboring town of San Marcos and represent our commitment to supporting local economies. $55 per person per day includes a space in the guest house, as well as breakfast, lunch, dinner, dessert, coffee, tea, and snacks. We also ask for a non-refundable $300 deposit per week to reserve the dates in the Bambu Guest House. While this is non-refundable, we can roll the deposit over to a different course date in the event of re-scheduling. If you have a group you'd like to bring to the bambu, just send us an email. we'd love to hear from you!